HEALTH BENEFITS It is reported in Director Tom Youngs newsletter that the NALC Health Benefit Plan picked up over 6,000 new members during Open Season. A third of that number are active letter carriers and their families. Recently our Branch was sent a print-out of our membership in the Plan and unfortunately, compared to last years Print-out, we gained a few but lost more members than we gained. Negotiations for the year 2004 will be getting underway shortly with the Office of Personnel Management. Each year it becomes a challenge to see if the premiums and the benefits will remain affordable for the active and retired letter carrier for the upcoming year. The present Administration has been proposing changes to the present Federal Health Plans and now Congress is looking at these changes. MUTUAL BENEFITS As I have stated in the past, there are some excellent insurance policies to chose from, especially the younger carriers who have younger children. When you are young I know from past experience you never imagine that when you get older it will be necessary to have Insurance fon you or the family members. For Members, just call the Union Office at 736-6300 and ask for this form (MBA Insurance Programs) be sent to you. In closing I would like to wish all Members a healthy and safe summer and above all dont forget to donate to COLCPE, even if its only a couple of dollars. John Jones is the Benefits Officer & Health Benefits Representative of the Branch. He is in the Union office on Thursdays and Fridays, from 8AM to 4PM. His duties as HBR extend only to members of the NALC Health Plan. 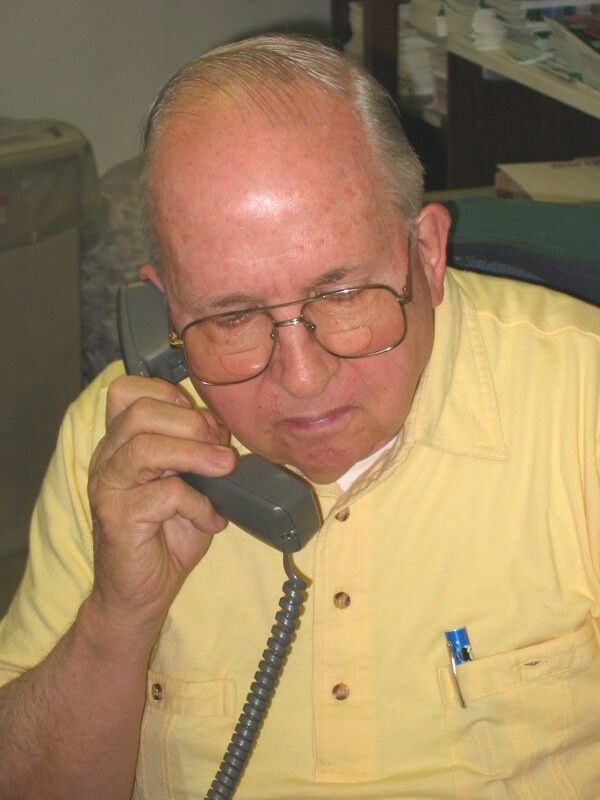 Members may contact John Jones if they experience problems with NALC HBP processing, or with Medicare coverage. Annual awards to members that had perfect attendance (no sick leave) in the post office in each calendar year. Qualifying members are asked to submit a copy of the last pay stub of the year to the Branch office, c/o John Jones. The cut-off date for receipt of the paystubs is the February Branch Meeting. The awards are presented at the March Meeting. The Branch offers two annual $500. scholarships to high school graduates who are sons or daughters of Branch members (step-children included). Awards are not made by academic achievements, rather they are awarded by random drawing at a designated Branch Meeting. Dates are published. Application forms appear in the Branch newsletter. Bibles of the appropriate denomination are presented to members in the event of the death of a member's immediate family, or to the next of kin in the event of the death of an active or retired member. All active and retired Union members are included in a free accidental death benefit in the amount of $5,000. This is provided by the Union's Mutual Benefits Fund. No beneficiary designation is necessary if your beneficiary is a member of your immediate family. If it is anyone outside your immediate family, you will need to contact the Mutual Benefits Association at (1-800) 424-5184 between the hours of 8:00 am to 3:30 pm EST on Tuesday & Thursday. Otherwise, they may be reached at (1-202) 638-4318, Monday thru Friday during the same hours. Full-time employees annual leave is credited to them at the beginning of each year. Part-time employees earn their leave as they work. For the first 3 years of service, full-time employees earn 13 days of annual leave per year, increasing to 20 days per year after 3 years of service, and to 26 days per year after 15 years of service. Note: Prior military service does count toward years service with USPS, but if you are retired from the military certain conditions apply to count any of your service time toward earning annual leave. Ask your Human Resources office to compute this time for you. LWOP, leave without pay, does affect your annual leave earnings. Consult your Human Resources office concerning this. How Much Leave Can I Takeover Each Year? · EAS Employees: 560 hours. Employees earn sick leave to use as paid time off from scheduled work hours. Sick leave may be used for illness, injury, pregnancy, and medical/dental examinations and treatment . Sick leave is accrued and credited at the end of each pay period in which it is earned. There is no limit on the amount of sick leave that an employee can carryover each year. · Full-time employees earn 4 hours per pay period or 13 days per year. · Part-time employees earn 1 hour for each unit of 20 hours in a pay status up to 104 hours or 13 days per year. Briefly: FMLA requires covered employers to provide up to 12 weeks of unpaid, job-protected leave to "eligible" employees for certain family and medical reasons. Employees are eligible if they have worked for a covered employer for at least 1 year, and for 1,250 hours over the previous 12 months, and if there are at least 50 employees within 75 miles. 3. for a serious health condition that makes the employee unable to perform the employee's job. In many cases at the employee's or employer's option, annual or sick leave may be substituted for unpaid leave. In addition to highly competitive basic pay rates, most Postal Service employees also receive regular salary increases, overtime pay, night shift differential, and Sunday premium pay. Overtime is paid at one and one-half times the applicable hourly rate for work in excess of 8 hours per day, or 40 hours within a workweek. Night shift differential is paid at a specified dollar rate for all hours worked between 6pm and 6am. Sunday premium is paid at 25 percent for work scheduled on Sunday. The Postal Service participates in the Federal Employees Health Benefits (FEHB) Program, which provides excellent coverage and flexibility with most of the cost paid by the Postal Service. There are many plans available, including both traditional insurance coverage and Health Maintenance Organizations (HMOs). Employee premium contributions are not subject to most taxes, making health insurance even more affordable. The Postal Service offers coverage through the Federal Employees' Group Life Insurance (FEGLI) Program. The cost of basic coverage is fully paid by the Postal Service, with the option to purchase additional coverage through payroll deduction. This is done through your personnel office. Payable to qualified individuals who are injured on the job. The Postal Service participates in the federal retirement program, which provides a defined benefit annuity at normal retirement age as well as disability coverage. Newly hired postal employees are covered under Social Security and Medicare (Federal Employees Retirement System (FERS). After a waiting period, career postal employees may contribute to the Thrift Savings Plan (TSP), which is similar to 401(k) retirement savings plans offered by private sector employers. Employees contribute to TSP on a tax-deferred basis, and may receive automatic and matching contributions (up to 5 percent of pay) from the Postal Service. Career employees may participate in the Flexible Spending Accounts (FSA) Program after one year of service. Tax-free FSA contributions can be used to cover most out-of-pocket health care and dependent care (day care) expenses. Federal Occupational Health, the contractor providing the Postal Service with Employee Assistance Plan (EAP) services, has created a free, informative, new website for postal employees. Letter carriers may join the site by surfing to EAP4you.com, clicking "New User," entering 800-327-4968 and registering with an anonymous user name and password. The site contains a huge storehouse of up-to-date health and wellness information on everything from coping with workplace stress, to child and elder care, to time and money management, to learning the warning signs of substance abuse. It also offers an "ask the expert" section for customized advice, anonymous self-screening tools for such problems as depression and alcohol abuse, and a wealth of links to Internet resources on all things related to personal or family health. The Union Plus Computers & Tech Program, in conjunction with Dell, now offers a 5-10% discount exclusively for union members on selected products purchased through Dell. The discount prices are listed online or quoted by sales reps by calling 1-800-934-1652. When ordering online and over the phone, you must reference code: PS16626766. Retirees remaining in the NALC upon retirement are presented with a $50. check from the Branch. Checks are sent upon receipt of form 1189. Employees and USPS both receive bigger discounts-USPS employees may want to take advantage of the new, higher discounts offered by the AT&T National Wireless Agreement. Discounts may be applied to USPS business accounts and USPS employees for personal use. The national agreement has been amended to increase the monthly volume discount from 12 to 15% thanks to the folks at USPS Information Technology Category Management Center. The 15% discount applies to new and existing wireless accounts with AT&T Wireless Services. Existing AT&T accounts currently receiving the 12% discount will automatically receive the 15% discount .USPS managers and telecom specialists may obtain additional information by calling 1-800-632-1904. USPS employees can visit any authorized AT&T Wireless retail store and reference Foundation Account Number (FAN) 10297. Store locations can be found at www.attws.com/general/storelocator. You may call a registered nurse at 1-800-622-NALC (6252) 24 hours a day, 7 days a week to discuss your health concerns and treatment options. This service is provided by our preferred provider organization (PPO) The First Health® Network. Their professional nursing staff will refer patients to appropriate levels of care and help in locating network providers. Thirty-five years ago, at the January 20 dedication ceremony of Nalcrest, 2,000 people celebrated NALCs unique achievement: an affordable retirement community for letter carriers in Polk County, Florida. A telegram from President Lyndon B. Johnson spoke to what the union had accomplished: For those whom Nalcrest will provide homes, it will fulfill one of the basic dreams of every American: that his senior years may be lived in reasonable comfort and security. Today, Nalcrest continues to flourish. It embodies the spirit of community that has been the hallmark of NALC since its founding in 1889, and its continued success stands as a real-life celebration of the union as family. Located in Central Florida on Route 60, midway between Tampa on the Gulf Coast and Vero Beach on the Atlantic Coast in Lake Wales. 500 garden-style apartments arranged in clusters of four to 10 apartments, all on ground level. Monthly rents are $271 for efficiencies, $286 for one-bedrooms; no two-bedroom apartments are expected to be available in the foreseeable future. Apartments are leased unfurnished on a yearly basis. Rental fee includes water, sewage, trash removal, basic cable TV, interior and exterior maintenance, and use of all recreational facilities. Residents must be retired and healthy enough to take care of normal housekeeping chores. No pets allowed. For information and an application, contact the Nalcrest office at P.O. Box 6359, Nalcrest, FL 33856-6359 or call 863-696-1121. Application form is available online please print it out and mail or fax the completed form to Nalcrest..